Are you passionate about human rights and want to work in an international environment with colleagues from all over the world? Do you have a strong interest in IT security and willingness to learn more? Then you might be the one we are looking for. Civil Rights Defenders is an international human rights organisation based in Sweden that defends people’s civil and political rights in pursuit of our vision: A world of democratic societies in which we all enjoy our civil and political rights. We partner with and support human rights defenders who work in some of the world’s most repressive regions. Through advocacy, litigation, and public campaigns, we advance people’s rights globally. We also act as Sweden’s local civil rights watchdog group. 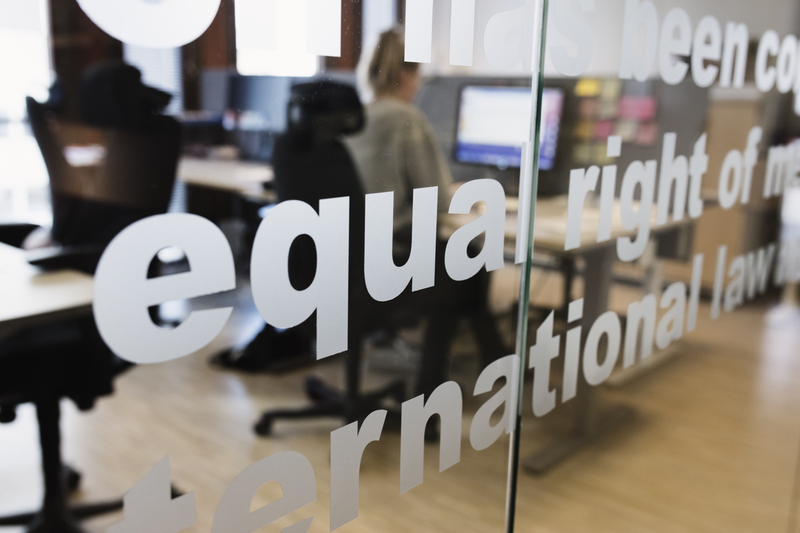 The Civil Rights Defenders HQ in Stockholm, located directly at Sergels Torg, has closely to 40 staff and houses many of the support functions our regional and satellite offices rely on. We are currently mainstreaming our ICT infrastructure and work flows. You will be taking lead on implementations as well as daily support to Civil Rights Defenders’ staff. Additionally, the Technology Officer fills a role as part of the Human Rights Defenders at Risk program’s mission to develop and implement security practices and capacity building measures for local partners. The position may include some travel to Civil Rights Defenders’ local offices, as well as the opportunity to travel globally to work with our partner organisations. We are a small, agile, organisation and this position will be a central asset in structuring the ICT infrastructure. There are large freedoms in assessing needs and adjusting the solutions presented to the organisation. Main counter parts of the Technology Officer will, aside the Programme Director for HRD at Risk, be the team of Protection Officers focusing on safety and security for the partner organisations of Civil Rights Defenders. The team is also hosting the innovative support modalities the Natalia Project and the Defenders’ Database. As an organisation, we strive for diversity and see your background, experience and personality as a contribution to the organisation. We are keen to receive applications from people who consider themselves under-represented in technology communities. We also offer wellness contribution and pension provision and insurance according to collective agreement. To apply, submit your cover letter and CV to info@crd.org no later than 12 April 2019. Please state “Technology Officer” in the subject line. Welcome with your application! For questions about this position, please contact Marcin de Kaminski, Programme Director. Civil Rights Defenders has a local union club connected to Unionen. The union representative, Anna Pettersson Nulu, can be reached at crdunionclub@crd.org.